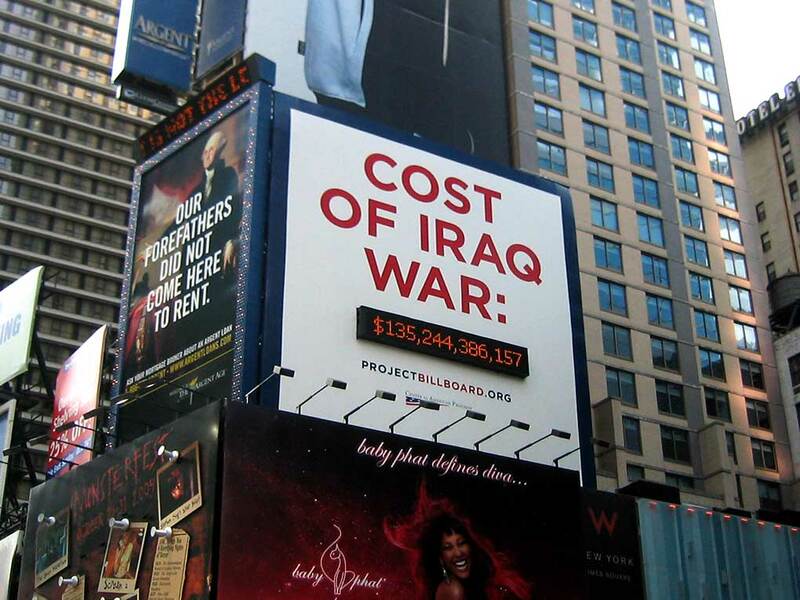 Project Billboard was founded by Laurene Jobs and four other influential Silicon Valley women to raise awareness about the cost of the Iraq war. 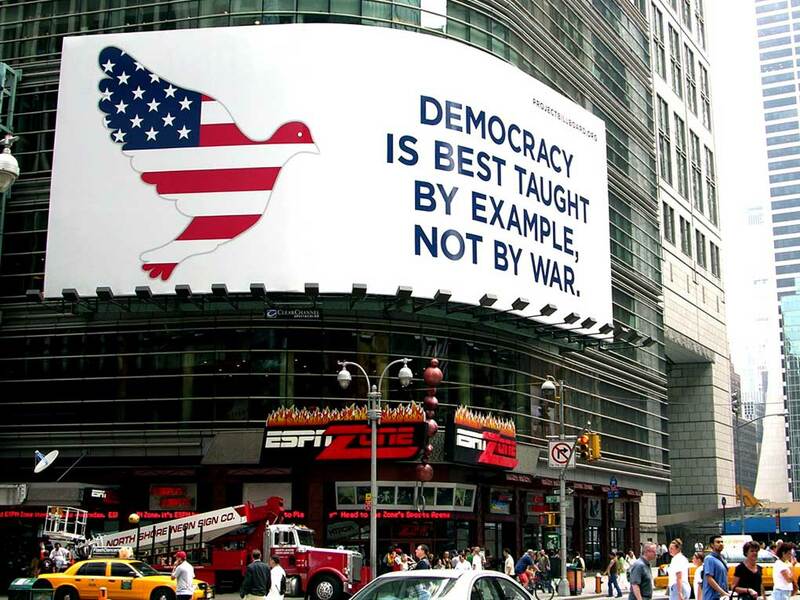 In 2004, they filed a breach of contract suit against Clear Channel for rejecting their proposed 40-foot billboard with the slogan, “Democracy is best taught by example, not by war.” Clear Channel claimed that the image of the bomb was insensitive in New York City, the site of the most devastating of the 9/11 terrorist attacks. Project Billboard claimed that Clear Channel’s rejection was instead for purely political reasons. Clear Channel settled the suit by agreeing to an alternative featuring an image of a peace dove instead of a bomb. One court battle later, the work did go up — with a dove in place of the bomb — just in time for Republican Convention attendees to enjoy.